Virginia is located midway between New York and Florida and, hence, called the “Gateway to the South”. There are a lot of things to do in Virginia be it historic sites, national parks, museums, caverns, wineries and more. One thing I love about Fall is how the scenery completely changes with beautiful colors! Since the Travelling Foodie loves to take picturesque scenic and travel sights, here are places to visit in Virginia during Fall! I suggest visiting in mid-October onwards. Unfortunately, when I visited on the last week of September, the fall colors hasn’t shown yet and the weather wasn’t cooperating, but you can imagine how beautiful it would be from the photos if it did! Virginia is called the Mountain State for good reason. Shenandoah National Park is well known for its mountain ranges, which includes includes 300 square miles of the Blue Ridge Mountains in the central Appalachians. 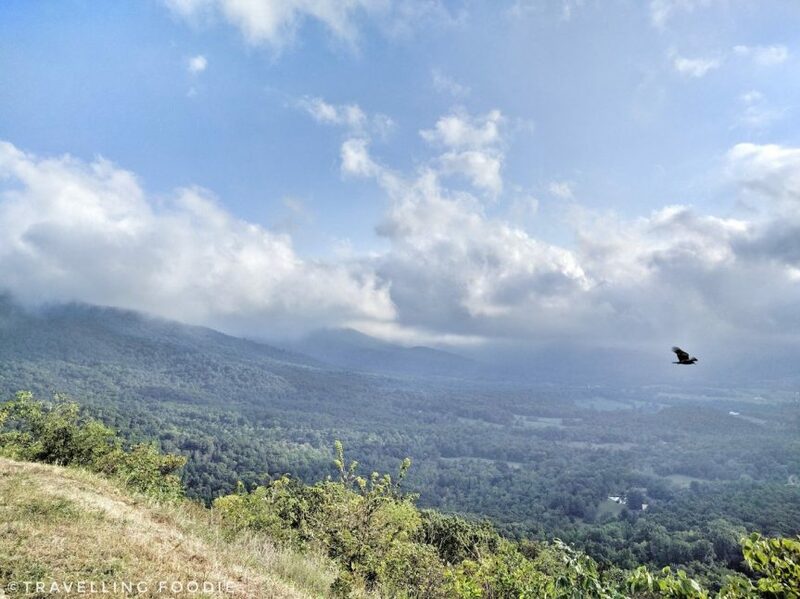 The 105-mile Skyline Drive itself already gives you such scenic drives. But that’s not all – there are 75 overlooks that offer picturesque views which is perfect for Fall! The views show either the Shenandoah Valley to the west or the rolling Piedmont to the east. For foodies, Visit, and/or dine, at Skyland and get more views as this is at the highest elevation in the park. See Travelling Foodie’s Review of Skyland’s Pollock Dining Room. Inherited from his father, Thomas Jefferson’s Monticello is at the center of a 5,000-acre plantation. It is considered Jefferson’s three-dimensional autobiography, and the only US Presidential and private home in the United States recognized as a UNESCO World Heritage Site. There are so many things to see at the Monticello including a 1000-foot-long garden terrace where Jefferson grew 330 vegetable varieties. During Fall, they have calendar events for nature lovers like the Tufton Fern Walk, Montalto Hawk Watch, Falling Leaves and Winter Trees, and the Montalto Sunset HIke. For Foodies, during Fall, they have a variety of events pertaining to food like Fall Vegetable Planting, Annual Heritage Harvest Festival, Apple Tasting and more. They also have a Garden Tasting Tour which features an in-depth exploration of Thomas Jefferson’s revolutionary vegetable garden combined with a tasting of seasonal fruits and vegetables from the garden. Make sure you check Monticello’s Calendar of Events when making your visit! 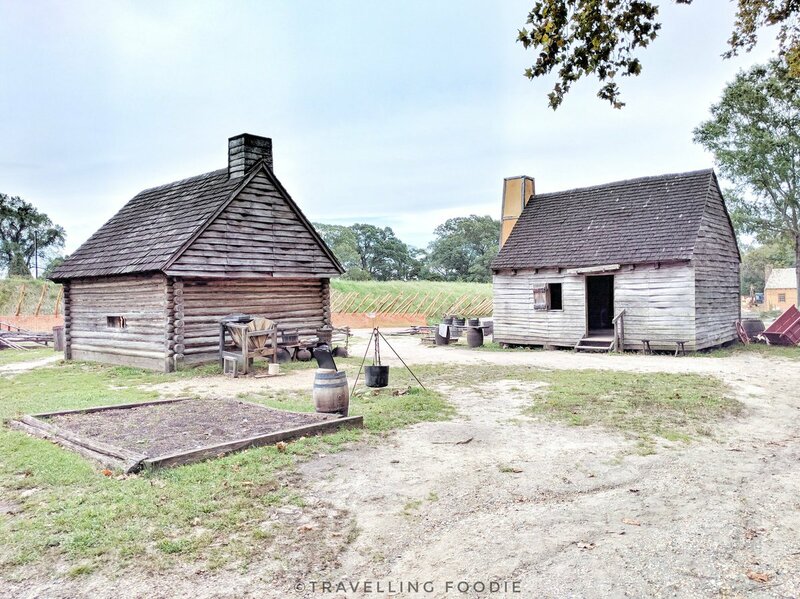 Historic Jamestowne was the home of America’s first English Settlement: the original location of the 1607 James Fort and the later 17th century city of Jamestown. It’s a very nice and spacious park with archelogical digs and scenic spots along the James River. Travelling Foodie Tip: Highly recommend taking the Archeological Walking Tour to get a deeper understanding and appreciation on what it’s all about. The tour guides are archeologists who are so passionate about their findings of the settlement. Jamestown Settlement lets you relive the experience of America’s first permanent English colony with re-creations of the ships that sailed from England to Virginia in 1607, the colonists’ fort and a Powhatan Indian village. Yorktown Victory Center depicts living history of America’s evolution from colonial status to nationhood. It has films and exhibits inside a museum building. But what’s great about this place is the the outdoor living history which re-creates Continental Army encampment and Revolution-era farm, which will be a great place to visit during the Fall. Yorktown Battlefield lets you see where American independence was won by driving along various sites: numerous fortifications and cannons; the Moore House, scene of surrender negotiations; and Surrender Field, and more. The auto tour will be perfect during the Fall as you get to see the Battlefield in the beautiful Fall colors. Virginia State Capitol is the second oldest working capitol in the USA. The Capitol Square is a great place for Fall photography as its nationally-recognized historic landscape is an essential element of the Capitol experience. Travelling Foodie Tip: The State Capitol Tour runs every hours and lasts abour 45 mins! Highly recommend you take the tour as it also takes you to rooms that is inaccessible on a self-guided tour. A lot may not know but there is also a tour for the Executive Mansion. Maymont is a 100-acre Victorian estate and public park. It has everything that’s perfect for Fall: an arboretum, Japanese and Italian Gardens, a native wildlife exhibits and a nature center plus just a very spacious and green estate. Just imagine what the grounds turn into during Fall! The Maymont Mansion itself has a tour ($5 suggested donation) in which you can get a glimpse of the wealthy lives of James and Sallie Dooley from 1893 through 1925. The Historic Downtown Mall is considered one of the finest urban parks in the country. 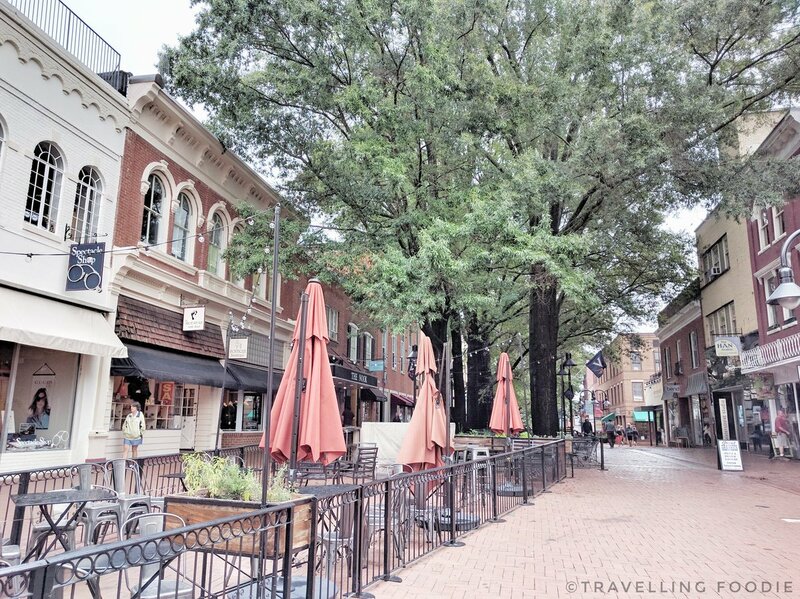 A dynamic place where history is intertwined with a thriving city center, this vibrant historic district is along seven blocks of brick- and tree-lined streets once strolled by Jefferson, Madison and Monroe. It has over 120 shops and more then 30 restaurants which would be perfect to stroll around or sit in the patio during Fall. These are places I actually visited during my trip. I do not include places I haven’t visited yet. Have you visited these places in Virginia? What is the best place to visit in Virginia during the fall for you? Disclaimer: Although some of the site access was complimentary in collaboration with Virginia Tourism Corporation, the opinions expressed here represent my own and not those of the companies. Posted on October 11, 2016 by Travelling FoodiePosted in Charlottesville, Luray, Richmond, Travel, USA, VirginiaTagged guides, nature, sights and landmarks, tours. Great ideas! I live in North Carolina, but I haven’t explored much of Va. Now I’m considering Charlottesville for a trip I’m planning in a few weeks! I’d probably stop in Roanoke on a Friday night, then continue to Charlottesville for Sat and Sun. I usually go to Gatlinburg,TN to see the fall foliage, but I want to try somewhere new. The hotels in Charlottesville are so booked up, I may have to go another time! Ohh ok! Roanake and Charlottesville is very near Shenandoah National Park so it’s a shame you won’t be passing by there to see the Fall Foliage.